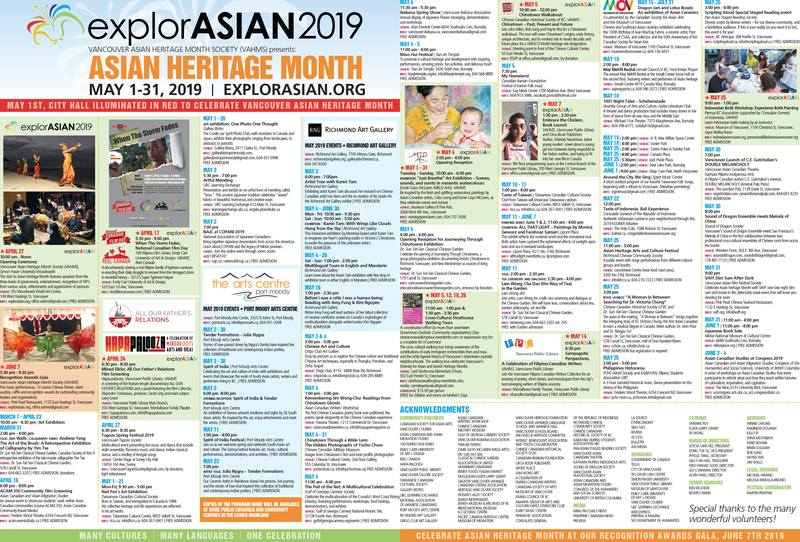 We accept submissions throughout the year to help promote events that support the mandate of the Vancouver Asian Heritage Month Society (VAHMS). We look forward to receiving information about your event. Thank you for your interest in collaborating with VAHMS!